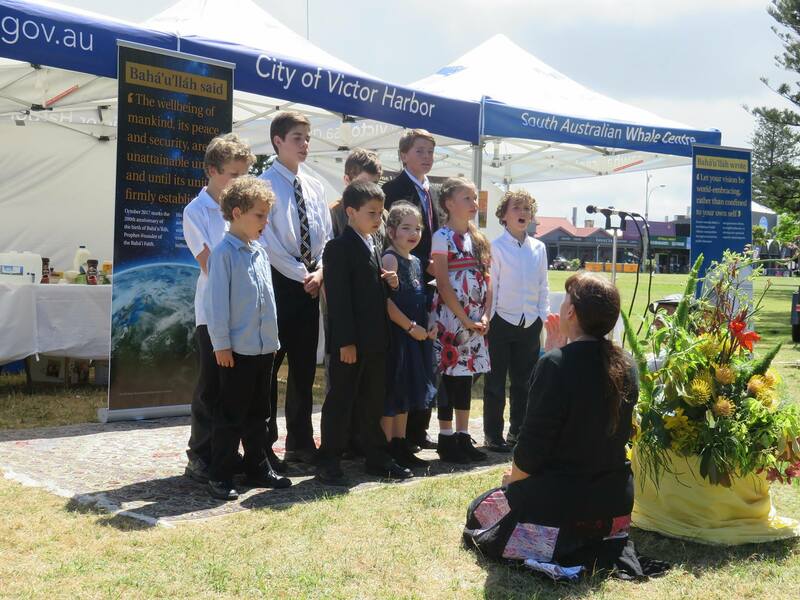 Primary children from the Victor Harbor Branch of The Church of Jesus Christ of Latter-day Saints shared testimony through song at a multi-faith celebration held at the South Australian seafront town on Sunday 22 October. The children sang ‘I am trying to be Like Jesus’ during the event held at Warland Reserve next to the causeway to Granite Island. 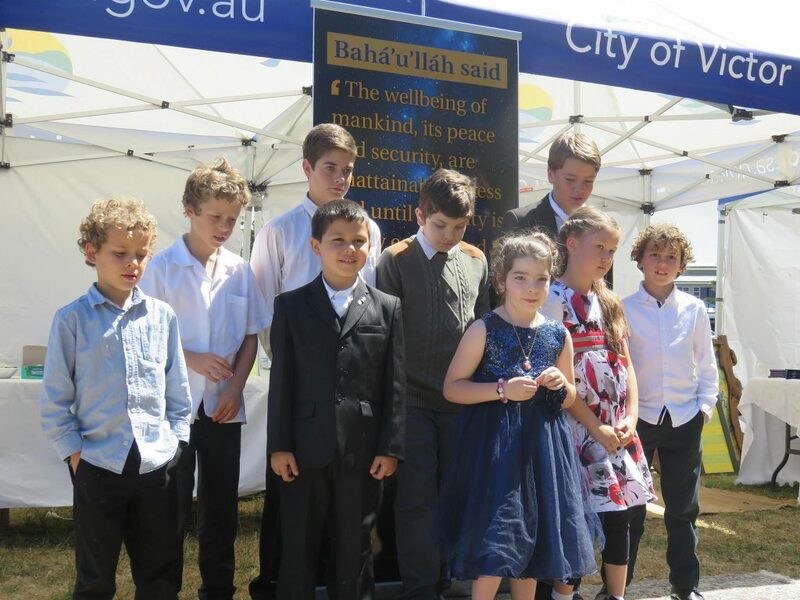 The celebratory service was organised by Victor Harbor’s Baha’i community to coincide with the 200th birthday of their prophet Baha’u’llah. The event brought together people from the Catholic, Uniting Church, Buddhist and other faiths along with civic and indigenous leaders. “One of the event organisers within the Baha’i community who’d met our church missionaries and attended some of our services mentioned she hoped to have some children sing at the celebrations – and so I offered ours as they love to sing together,” said Sarah Fitton, mother to three of the songsters, and wife of LDS branch president Boyd Fitton. 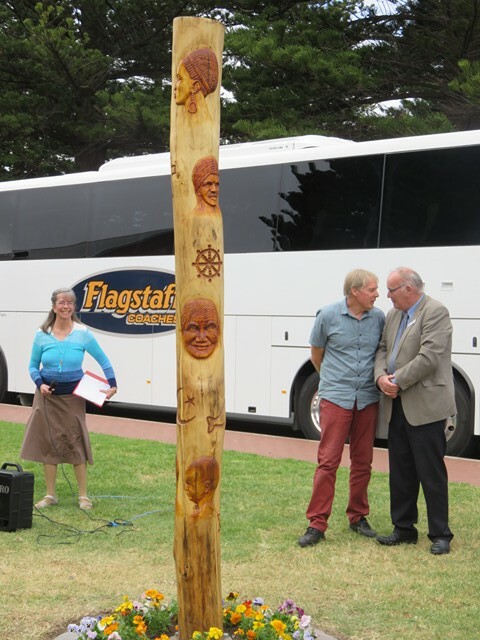 A ‘Peace Pole’ was unveiled during the afternoon by Victor Harbor Mayor, Graham Philp. The three-metre-tall Poplar pole is engraved with faces representing different nationalities and symbols from religions around the world. You can read of other uplifting interfaith initiatives via mormonewsroom.org. Here’s one example. « Pacific-wide Day of Community Service – volunteers needed!